The history of dance in Australia is also a history of social behaviour – and misbehaviour. There is also a bawdy element that befits Australia’s male-dominated pioneering past. Anyone who has attended a bush B&S (Bachelor and Spinster dance) will be able to relate endless stories about drunken, wild and weird behaviour ñ and that’s just from the females at the party! – and a continuation of the bawdy tradition, including the singing of bawdy or filthy songs. These gatherings allow the young jackeroos and jilleroos, and other rural youth, to ‘let off steam’ which usually means getting as ‘drunk as skunks’. The sight of the morning after includes ‘bodies’ littered over the surrounding area, many in dinner jackets, sleeping where they fell. Bawdy songs have been part of the B&S for a long time and show no signs of disappearing. From the earliest days of the colony there were two streams of dance: the polite dances for the gentlefolk and the rowdier for the commoners. The colonial military top brass and their wives gathered regularly to dance quadrilles, waltzes and polkas with music played by the military bands of the colony. 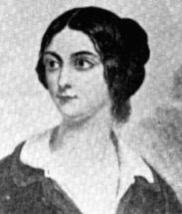 These were the occasions where the eligible daughters of the colony could socially meet with acceptable young men in a socially acceptable environment. The Governor’s residence was the favoured venue and it was not uncommon for a grand dinner to be followed by a session of dancing. On the other side of town, in the taverns and barracks, soldiers and any available wenches, many of them prostitutes, would whoop-it-up dancing set dances to the simple accompaniment of instruments like the fiddle and fife. In the convict barracks hornpipes and Irish step dances would have been performed to the sound of whistles, fiddles and Gaelic mouth-music. As the colony developed the main dances became balls and to be invited to the Governor’s Ball was considered the social prize. The invitees included military hierarchy, British visitors, especially those reporting on the colony, and those successful landowners and business operators deemed acceptable for such grand occasions. Some wealthy residents also hosted balls, as did the military. 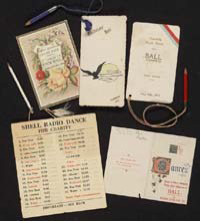 The military bands, being permanent fixtures, created music for special occasions and some of these musical relics have been preserved in the State Library of New South Wales and the National Library of Australia. The main colonial band was attached to the Paddington Regiment and still exists today at the Victoria Barracks. The interior settlement of the colony was led by a mix of retired military and government officers, free settlers and ticket-of-leave convicts, all of whom had an ongoing association with the colonial government through its program of indentured convict labour, land and stock grants. Sheep and edible farm produce were the main agricultural pursuit. As the colony, including some of its furthest posts, expanded so did the need for social entertainment. It was a time for fine young girls to be ‘introduced’ to the right potential partner and, in most cases, the farm hands were not seen as suitable. Once again the social dance, even if it were staged in a newly mown paddock, was the usual meeting ground. The etiquette of England still ruled in the back paddocks. The shipping newspapers, the ones actually printed during the long voyage, and the many ‘Advice to Emigrants’ booklets (mostly published by church organizations), talk about the importance of dancing as an acceptable seaboard activity and also in the colony. One can imagine the ship’s senior officers and would-be millionaires escorting the line of demure young ladies to the small ship’s dance floor and flying around the room with the latest craze, the polka mazurka. shanties, general stores opening and more permanent structures replacing the canvas tents. It was a very male-dominated society and the arrival of females, including many keen-eyed commercial gals, was a time for celebration. It was usual to announce the arrival of a group of females in the local newspaper. Most came to ‘perform’ at the local hotel. Some of the hotels were quite large and many also had large ‘concert halls’ where German bands, minstrel shows and other theatrical attractions performed. There was quite a lot of money to be made as a goldfield’s entertainer. They were also large enough for dancing however the biggest demand was for girls dancing on the stage rather than the usual dance environment. These were really girly shows and the more titillating the better. 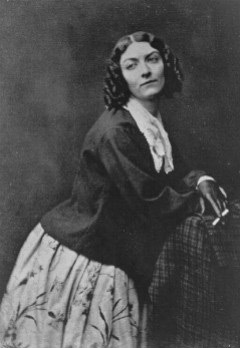 The story of femme fatale Lola Montez and her ‘spider dance’ is well documented but enough to say the dance was based on the concept of a spider, possibly a tarantula, crawling into her clothing with Ms Montez vainly trying to find it. This meant the removal of several layers of clothing and this sent the concert hall attendees wild. By all accounts Irish and Scottish step dances were popular in the bush and mostly danced by men. No doubt crossed walking sticks or shepherd’s sticks would have been as good as two swords. 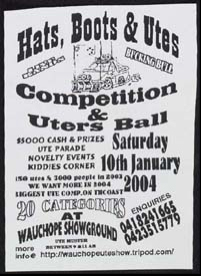 As the towns grew the bush dances became bigger events. Most towns had a monthly dance with local musicians performing in the most appropriate hall be it the Railway Institute, Oddfellows, Masonic or School of Arts. Sometimes, in more remote areas it was the local woolshed where the greasy lanolin had already made the floor surface ideal for gliding, sliding and waltzing. It was at these dances that another tradition developed: men down one end and women the other. Truth was, bush men were usually unaccustomed to female company and many were painfully shy. The girls were usually not much more comfortable in their newly-made, homemade crinoline outfits. Most dances had a ‘master of ceremonies’ who also ‘called’ the set dances. The music depended who was available however most halls had a piano (piano tuners travelled the bush regularly) and this would be augmented with fiddle, concertina and accordion, and, sometimes, homemade musical instruments that could contribute to the volume. At the dances it was also custom to have local entertainment, be it a reciter, solo singer, glee group or even someone making animal and bird noises. If you were lucky you might have even heard a gumleaf virtuoso. Dutch courage – false courage. Numerous expressions referring to the Dutch originate in Anglo-Dutch enmity during the 17th and early 18th centuries, when there were trade disputes, naval embargoes and three wars, as a result of which Dutch became a pejorative word. Generally, it indicated a lack of genuineness: Dutch courage is that induced by drinking alcohol, a Dutch uncle gives unpalatable heavy-handed advice (which is not to say bad advice), and double Dutch is gibberish or nonsense. The first of these may also allude to the Dutch fondness for gin and the second to Calvinistic sternness. …Later expressions are less derisive and more jocular, implying the sort of quirkiness many nations attribute to their neighbours: a Dutch treat, sometimes called going Dutch, means paying one’s share of expenses (i.e. no treat at all) and I’m a Dutchman is a general expression of disbelief. It should also be noted that this ridicule of the Dutch was extended to Australia and many ‘Double Dutch’ songs were circulated in the mid-to-late 19th century. It is further noted that one of the most popular drinks in the colony was ‘Dutch Gin’. The song ‘Wooyoo Ball’ which later became Euabalong Ball (as fashioned and originally popularised by A. L. Lloyd) captures the atmosphere. One of the most important events in the Sydney calendar was the Lord Mayor’s Ball and several songs and poems exist ridiculing the pomp surrounding its very existence.